waiting… – Journey to my heart…. I believe that waiting has a purpose. I have found that in seasons of waiting, I change. I am learning that often the critical things I may need to learn come during the waiting…. And so, this blog entry is not written for those who are in a season of waiting where growth is occurring…and I also am a strong believer that you know best how to identify the season of life you are currently in. But sometimes I find that I use waiting as an excuse not to act. I have many examples of scenes in my life where I am waiting, waiting, waiting and denying that my waiting is more of an excuse than a reality. If this doesn’t resonate with you, perhaps you are not one who hides in waiting. 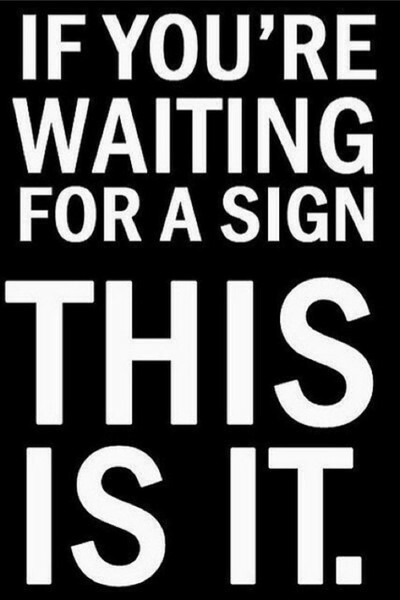 If this does resonate with you, smile as you see the new sign that hangs by my computer…. 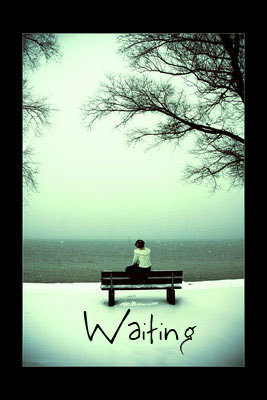 I would love to visit with my readers and share our life scenes of true waiting and how we might each hide in waiting. I would be curious about what you are waiting on and what is the outcome you desire. I would also ask what it is that is keeping you from pursuing that outcome? If you waiting to start exercising, I encourage you to go and take a walk today. If you are waiting on a friend or family member to reconcile, I would encourage you to pick up the phone or write a letter today and if you are waiting on a changed routine, I would encourage you to stop waiting and start living today.